BitFenix is a company that became known for their unique, yet cost-effective computer case designs. The company was initially focused solely on PC cases, but quickly expanded their products portfolio to include other related products, such as case modding items, fans, and power supply units. A little over a year ago we reviewed two of their first PSUs, the BitFenix Whisper M 450W & 850W units, which we found to be both capable and competitively priced. 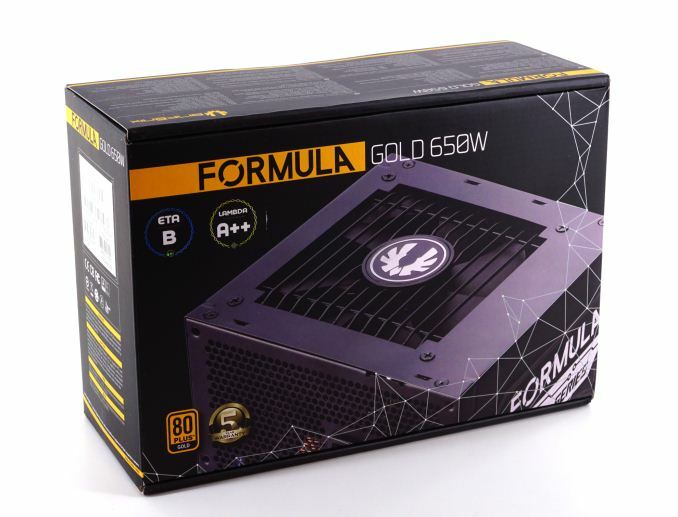 For today's review we are taking a look at the latest addition to the company's PSUs lineup, the Formula Gold 650W PSU. As its name suggests, the Formula Gold series comes with an 80Plus Gold efficiency certification, with a long list of impressive features and rather bold quality assurance assertions on its marketing sheet. BitFenix claims that it is one of the most cost-effective 80Plus Gold units in the market, though with a retail price of $80 for the 650W version, it faces some aggressive competition amongst other 80Plus Gold designs. Ultimately this is a PSU with both its advantages and shortcomings, as we'll see in this review. 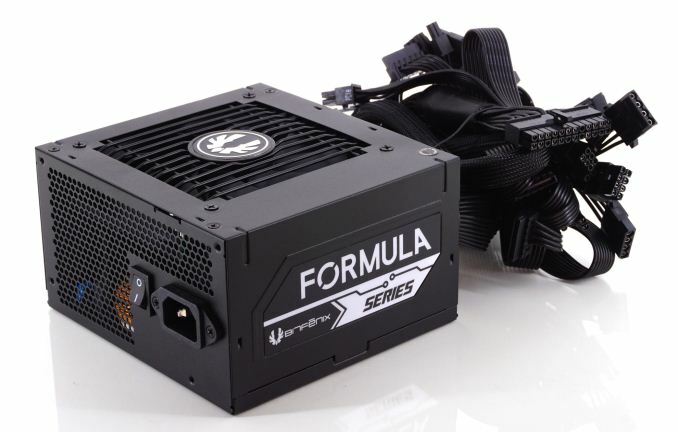 BitFenix supplies the Formula Gold 650W PSU in a typical cardboard box, with thick walls that offer ample shipping protection. Inside the box, we found the unit well-protected in polyethylene foam pieces. The artwork is mostly black, with abstract geometric shapes forming a partial triangular mesh and a close-up picture of the PSU itself. Abundant information regarding the unit's main features and performance is printed on the sides and rear of the box, in multiple languages. In an effort to keep the cost as low as possible, the company reduced the bundle to the absolute essentials. We only found the necessary AC power cable, four black mounting screws, a few zip ties, and a basic manual inside the box. There are no other items or cables, as this particular PSU has all of its cables hardwired to the chassis, none are removable. "Modern power supplies work on both systems, however the nature of switching means that they are slightly more efficient with higher voltage inputs. " I don't follow. How do you see your PSU from the front of your case? What kind of shroud do you use with your PSU and why are more cables better in that case? Do you use some very specific cases? Not to be confused with Bitfinex.